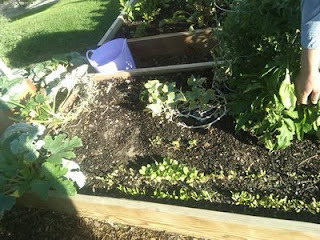 Watch My Garden Grow: Where's the basil?? Fall is in the air....and the garden is beginning to look empty. 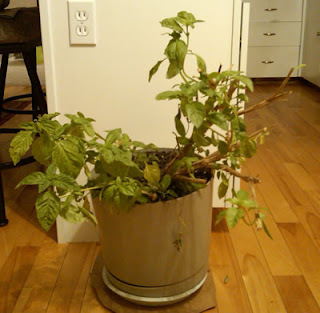 I took the basil out about 10 days ago. 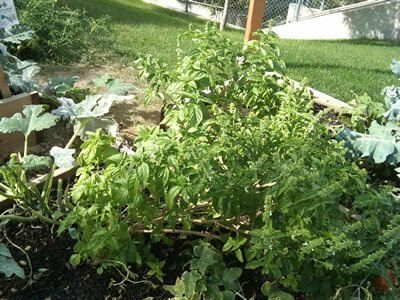 Here is the basil bush in the garden bed before I took it out. My friend let me borrow a big planting pot. If anyone was around, they had a good laugh while I struggled to get the basil bush in the pot. I kept the basil bush outside for a few days before I brought it in. I trimmed and used the basil to make some pesto. Here is the basil bush inside. I move the basil bush around so that it gets the most sun. It has been in the house for about 5 days. I hope it likes its new home. 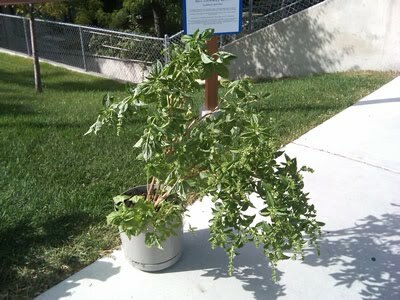 As I said before, this is the largest basil plant in the Universe.